Political parties have pushed and passed The Elections Law (Amendment) Bill, 2016 which bars party hopping. The celebration is that the new law will ideologize political parties whilst cementing party faithfulness. But how constitutional is the new law? How practical are its provisions? 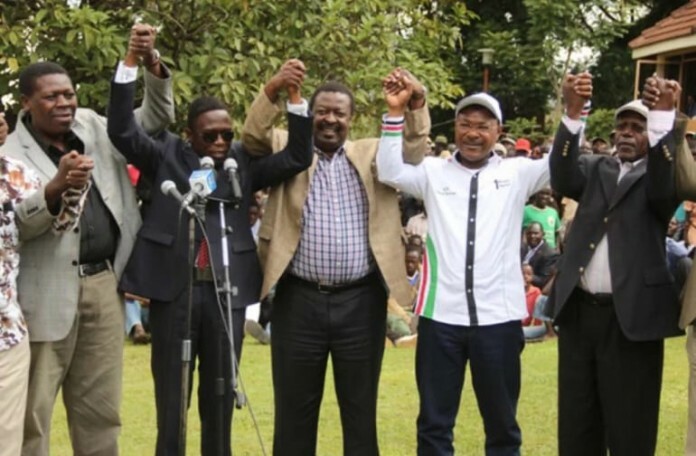 Will it really attain its purpose of coherence in political parties post nominations? Beyond what has been put out there, questions abound as regards the true intentions of the new law. Indeed, that parliament only passed it after intense lobbying and arm-twisting by respective party hierarchies suggests that the bill could have been nothing more than an aggressive attempt to consolidate party support ahead of the 2017 elections. Theories regardless, the banning party hopping is not the way to ideologize political parties. While it can be sufficiently influenced, political morality cannot be legislated. It is the natural gift of a democracy that has evolved overtime to maturity. The political morality of any democracy is directly proportionate to its demography and socio economic development (Fukuyama, Lipset et al). To coerce it through legislation while society remains highly stratified, politically illiterate and predominantly rural is akin to coloring a house which stands on a fickle foundation. One of the most celebrated provisions of the new law is the extension of IEBC’s mandate, at the instance of the individual party, to overseeing party nominations (clause 10). Major factions have taken advantage of this to all but confirm that their nominations will be carried out by the IEBC. Where many would see fairness and decorum instilled into a historically chaotic process, some might argue that inviting the IEBC doesn’t guarantee fairness after all. Lest we forget, such services are to be paid for by the inviting party. Is it therefore improbable to presume that the Commission could be biased in their selection if only to please the true clients- the money paying party hierarchy? The 90 days to elections ceiling (before which an aspirant must have declared his election vehicle- either as an independent or as the legal nominee of a party) makes participation in IEBC supervised primaries a do or die affair for most candidates (clauses 9& 11). For reasons raised above or otherwise, cases of dissatisfaction are bound to sky rocket with failing aspirants pursuing legal redress with a never- seen- before vigor. The High Court is likely to be overwhelmed with the petitions challenging the Commission’s ability to fairly determine cases where it’s the principle accused (the mandate of the commission to nominations as under section 5 of the IEBC Act 2011). Envisaging the likely scenario where most parties will conduct their primaries just months to the elections, it remains to be seen what the Court will offer in redress without diluting the litigants’ right to fair hearing or seemingly acting in vain. Even if the courts somehow wriggled out of this conundrum, the competence and integrity of the IEBC would have been severely damaged. So close to the elections and with zero recovery time, this would set the stage for another post election crisis. And this raises other questions, does the IEBC even have the capacity to carry out rigorous nominations for all these parties then pilot the elections- especially where they are to take place back to back? The stakes involved and the new found penetration of especially the two leading factions makes their nominations grand affairs. Granted the parties will pay, but what of personnel and infrastructure? Will the same election officials be used or will fresh recruitment be required especially in places where one faction doesn’t enjoy the support of the other hence doesn’t see the need to conduct primaries? Will these officials be vetted? Will party A be comfortable with the officiating of officials who conducted party B’s nominations in party B stronghold? If the reverse holds true doesn’t this open elections to external manipulation? Will the officials be locally recruited…infrastructure transported since let’s face it, most parties remain supremely regional? Will the commission be able to withstand the onslaught that follows? To the not so small matter of rights and freedoms, article 38 of the constitution of Kenya 2010 grants every citizen the right to make political choices. The right to form and participate in the affairs of a political party is unlimited except to the extent that one is a citizen. Article 36 grants every person the freedom to form, join and participate in the affairs of an association of any kind. It denounces compulsion to join any association. Article 33 grants the freedom of expression. Alongside the limitations contemplated under article 33 (2) rights and freedoms may only be limited as under article 24 and even then, where the state is the limiting agency, it is required to demonstrate sufficient cause as to why it seeks any limitation before the courts. It must show the importance and purpose of the limitation as well as demonstrate the absence of less restrictive means by which it could achieve its purpose. As the paragraphs above have attempted to highlight, the absence of a clear dispute resolution regime to address nomination disputes vis a vis the important place of political parties in our society (politics) and the dire consequences of an unfair loss at nominations provide strong argument as to why the amendment on party hopping should be passed unconstitutional. The clamor to ideolagize political parties shouldn’t be pursued at the sacrifice of the freedom of association and the rights of access to justice, fair administrative action other political rights under article 38 among others. Article 91 is clear on the basic requirements of political parties so is section 7 of the Political Parties Act and the import of the larger chapter 6 of the Constitution. Ideology is not one of them. If ideologizing parties was an honest intention the proper thing would have been to clearly amend an ideological requirement into the constitution and the latent acts without limiting freedoms.